Twitter shareholders will vote on whether to turn the social network into a user-led co-operative at the company’s shareholder meeting set to take place at the end of May. The move follows a petition by a group of Twitter fans urging the company to sell itself to its users, turning the firm’s publicly-listed share structure into a co-operative, meaning it would be owned by its users. “Wall Street thinks the company is a failure because it’s not raking in enough profit for shareholders. That means that Twitter is up for sale, and there is a real risk that the new owner may ruin our beloved platform with a narrow pursuit of profit or political gains,” the petition, which has so far gathered nearly 3,500 signatures, reads. “We want the company to share its future with those whose participation make it so valuable: its users” it adds. If the proposal goes through it would require Twitter to “prepare a report on the nature and feasibility of selling the platform to its users via a co-operative or similar structure with broad-based ownership and accountability mechanisms," according to the company’s proxy filing submitted on Friday last week. Twitter’s board, on the other hand, is not so keen on selling the micro-blogging site to its users, arguing that changing its structure would not be in the best interests of shareholders and that as a publicly traded company, users are already free to become stockholders. “We believe that preparing a report on the nature and feasibility of selling the ‘platform,’ and doing so only to ‘its users,’ would be a misallocation of resources and a distraction to our board of directors and management,” the company argued in the proxy statement. 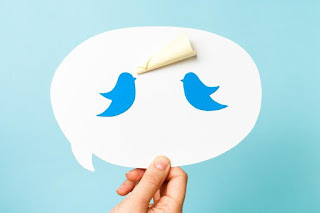 “The proposal has pinpointed a very specific type of transaction and ownership structure and the board of directors does not believe that the course of action suggested in the proposal would enhance the value of the ‘platform’ or Twitter,” the board said. Twitter co-founder Evan Williams last week said he is selling a minority of his shares in the social media company, which has been losing ground to Facebook and other fast-growing rivals.